26 Dec 2006 Added an entry to the live video page for the 21 Jan 1990 Nova Mob (Lounge Ax, Chicago) recording. Also put up a gig stills page using images captured from the video and added the link to the dates page. 25 Dec 2006 Put up setlist for Grant's 21 Jan 1990 Lounge Ax (Chicago) Nova Mob show and added the link to the dates page. Also added "Heaven's Not That Far Away" (Run Westy Run cover performed at the gig) to the Hüsker song titles page and the cover songs page. 15 Dec 2006 Added four new images to the 10 Oct 1984 (late) Hüsker Dü show (Marco Polo, Columbus OH), gig stills page, courtesy of the photographer, Jay Brown. 15 Dec 2006 Put up a flyer image for Bob's 12 Oct 2005 Doug Fir (Portland OR) show; updated the 2005 poster index page and the dates page. 08 Dec 2006 Another legendary club bites the dust: the old Nectarine Ballroom is now The Necto, and no longer features live music. The old Nectarine website is gone (the broken link is what clued me to the club's demise, which is not exactly recent), so I put up a skimpy venue description page for the place and fixed the link on the dates page. 08 Dec 2006 Added a previously-overlooked t-shirt, featuring screened photos shot by Glen Friedman in 1983, to the Hüskerwear page. 08 Dec 2006 Put up a flyer image for Bob's 14 Feb 2006 Doug Fir (Portland OR) show; updated the 2006 poster index page and the dates page. 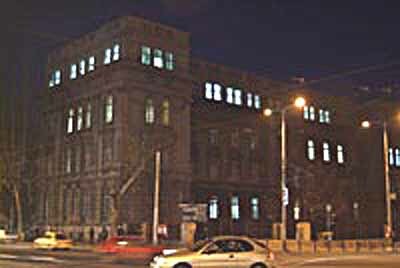 08 Dec 2006 Added Bob's just-announced full-band show at the Hammerstein Ballroom (Manhattan Center Studios, New York City) to the dates page and linked to a small picture of the venue. 02 Dec 2006 Found a picture of Patronaat (Haarlem NL) and added the link to the dates page. 02 Dec 2006 Revamped the layout of the Hüskerwear page to make it easier (I hope) for people to find particular items. 02 Dec 2006 Added the recollections of an anonymous UK correspondent to the Barrel Organ (Birmingham UK) venue description page. Flip Your Wig (tour/yellow) tee Also updated the description of the Modulate tee to reflect the fact that it's still available at the Granary Music Store, and updated the artwork for the Flip Your Wig tour tee. 26 Nov 2006 Put up a gig stills page for the 14 May 1985 Hüsker Dü show (Camden Palace, London), assembled from a whole bunch of images captured from the Makes No Sense... video, and added the link to the dates page. 25 Nov 2006 Added Sounds (25 May 1985) review of the 14 May 1985 Camden Palace show and updated the magazine articles page. 25 Nov 2006 Added a bit more info to the venue description pages for Syria Mosque (Pittsburgh), The Channel (Boston) and JB's Down Under (Kent OH). Thanks to Jim Smith for the JB's comments and to Dinky Dawson for passing along this (new?) "virtual Channel" link. 23 Nov 2006 This Billboard article confirms that "Again And Again" is the title of the new song Bob played on his spring acoustic dates (and indicates that the song will be on the next album, slated for June release). Added the new song to the Hüsker song titles page and updated the 27 Mar 2006 Cat's Cradle setlist page.  Penny Lane 24 (Sapporo). and linked them to the dates page. 17 Nov 2006 Added the recollections of correspondent Craig Sala to the 7 Willow Street (Port Chester NY) venue description page and the recollections of an anonymous correspondent to the Larry's Hideaway (Toronto) venue description page. Also dug up a bit more info about the Euphoria Tavern (Portland OR) and updated its page. 11 Nov 2006 Added Bob's just-announced 18 Nov 2006 Anti*Pop Music Festival (Orlando FL) appearance at Room 3 Nine (keynote address, Q&A, live performance) to the the dates page and linked to a photo of the club. Also added Bob's appearance at the Karin Berg Memorial Service last Wednesday (08 Nov) at St Mark's Church in NYC, along with a photo of the church and another one-song setlist. Thanks to Sugar list poster David Concannon for the pointers. 10 Nov 2006 Added the recollections of correspondent Tony Rogers to the Rockitz (Richmond VA) venue description page. 10 Nov 2006 Learned (thanks to Travis Vande Berg) that Bob played "If Not For You" (accompanied by Chris Brokaw) at last night's Dylan tribute show (Music for Youth benefit) at Avery Fisher Hall. Added the song to the Hüsker Dü song titles and cover songs pages; put up a very short setlist page and linked it to the dates page. 06 Nov 2006 Added the recollections of correspondent James McNaughton to the West End Club (Chicago) venue description page. 05 Nov 2006 Added a little more info to the Blowoff entry in the annotated discography and the Summary Discography, and added an artwork page for it. 05 Nov 2006 Added an entry to the Covers & Tributes section of the annotated discography for the Posies' Alive Before The Iceberg live CD (features "the "Grant Hart" song) and added a bit more info to the Dead Milkmen's Eat Your Paisley entry. Put up artwork pages for Iceberg and Paisley. 25 Oct 2006 Put up setlist for Bob's 19 Nov 2005 Little Brother's (Columbus OH) show and added the link to the dates page. Thanks to Joe Zibell. 24 Oct 2006 Repaired broken links on the Hüsker Dü links page to David Israel's Bob Mould site and the whiplash Hüsker Dü page. Also removed, sadly, the link to Gary Goldfinch's old Hüsker site, which now appears to be very dead. 21 Oct 2006 Added blurb for the self-titled album by Bugs Multiply, which includes a song titled "Thinking Hüsker Dü," to the Covers and Tributes section of the annotated discography and put up an artwork page for it. 08 Oct 2006 Added Coolest Retard #20 (May-Jun 1982) review of Land Speed Record and updated the magazine articles page. 07 Oct 2006 Added Sam Nyt (Oct-Nov 1985) review of the 10 Sep 1985 Hüsker gig at Saltlageret (Copenhagen) and updated the magazine articles page. Thanks to Lasse W. for the scan of the article and for providing the Danish transcription. 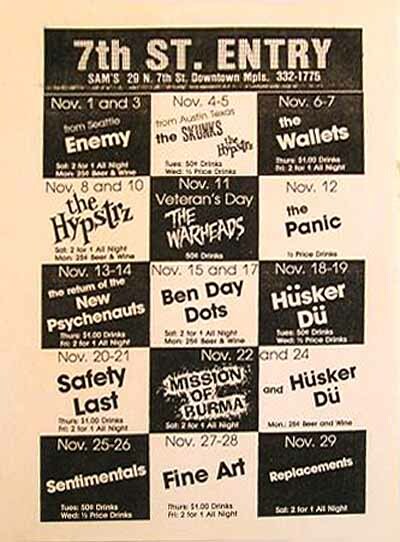 06 Oct 2006 Added previously unlisted Hüsker date to the dates page: 22 May 1982, Club COD, Chicago. Thanks to Sumant Ranji, who spotted the gig listed in a print ad in Coolest Retard #20, reproduced on the Chicago Punk Pix site. 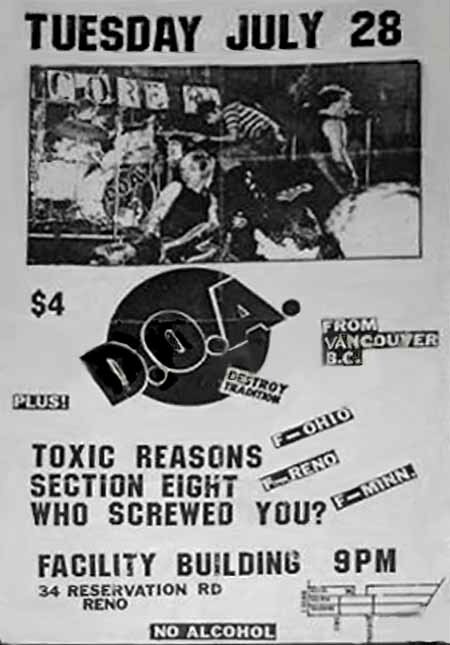 Also added an image of the ad to the 1982 flyer index page. 28 Sep 2006 Added a Wikipedia entry link to the Channel (Boston) venue description page. Thanks to Mark Cordeiro for the info. 26 Sep 2006 Put up a gig stills page for the 24 Sep 2006 Blowoff show (Folsom Street Fair, San Francisco) and added links to the dates page. Thanks to Sumant Ranji. 24 Sep 2006 An eBay flyer auction has revealed a previously unlisted Hüsker date: 28 Jul 1981, Facility Building, Reno NV (Reno-Sparks Indian Colony). Added the performance to the dates page and added the flyer image to the 1981 flyer index page, along with a second flyer for the July 1981 Smilin' Buddha (Vancouver) shows spotted by Lasse W. on the gigposters.com site. Also swiped an alternate flyer image for the 29 Oct 1982 Goofy's (Mpls) gig from the Motomama site, where it was spotted by Sumant Ranji, and added it to the 1982 flyer index page. 22 Sep 2006 Learned that the Stockholm venue long identified as "The Ghetto" was in fact a club called Ritz, which ran Wednesday night events called Ghetto. Corrected the venue description page, the setlist entry, and the dates page. Thanks to Herra Gee for the information. 12 Sep 2006 Fixed broken link on the Hüsker Dü Images page to the 1998 LDAPS Tour Diary in the granarymusic.com archives. 09 Sep 2006 Added a little more info to the Town & Country (London) venue description page. Thanks to Telegram Sam for the leads. 09 Sep 2006 Fixed broken dates page link to The Forum (London). 07 Sep 2006 Removed the 16 Sep Blowoff show from the dates page after Bob announced in his blog that it would be a DJ-only night. 03 Sep 2006 Added more info and anecdotes to the "West Side Club" (Philly) venue description page. Thanks to Lenny Bandoch, who lived in the building and helped his friend Jeff organize the shows, for sharing his remniscences. 01 Sep 2006 Fixed broken dates page links to JJJ Radio in Australia and to the venue image for the former Sarah Sands Hotel in Melbourne. Also made minor fixes to the Sarah Sands venue notes page. 31 Aug 2006 Added recently announced live Blowoff date, 24 Sep 2006, Folsom Street Fair (San Francisco) to the dates page. 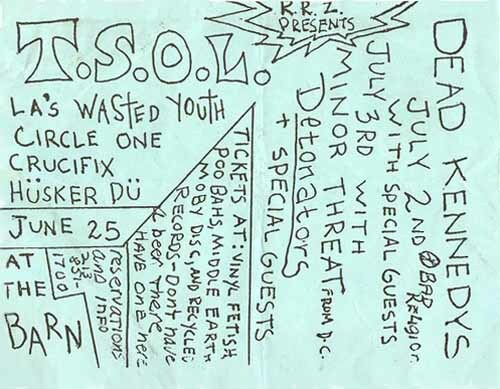 26 Aug 2006 Put up flyer images for the 25 Jun 1982 The Barn (Torrance CA, cancelled) and 05 May 1985 Channel (Boston) Hüsker gigs; updated the 1982 and 1985 poster index pages and the dates page. 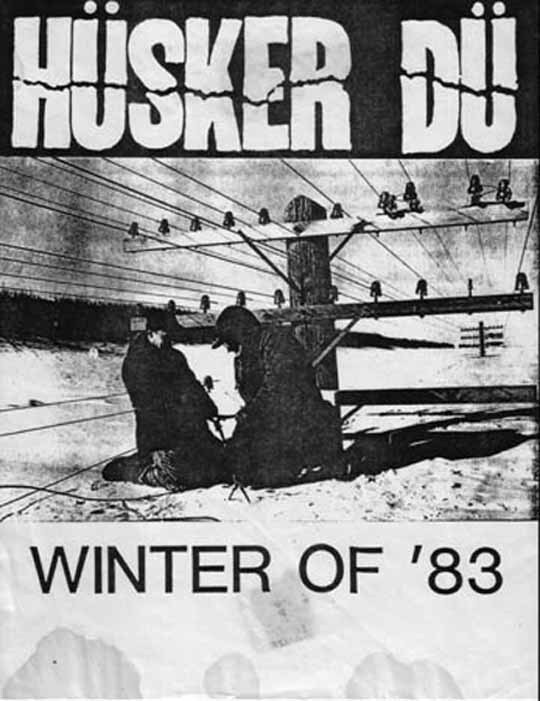 25 Aug 2006 Found a new flyer on eBay for a 22 May 1984 Hüsker Dü show, opening for Black Flag at Zhivago's in Nottingham, that happened, if at all, without the participation of the Hüskers. 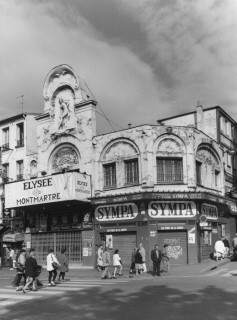 Updated the 1984 flyer index page, put up a Zhivago's venue info page and found an image of the place as it appeared in 2001. Updated the dates page. 25 Aug 2006 While I was sleeping soundly through what apparently was one of Josh Beckett's strongest outings of the year for the Red Sox, Joe Deuel did indeed send a few more photos of the Hüsker Jun 1984 performance at the "West Side Club" in Philly, which I've added to the new gig stills page for the show. 23 Aug 2006 A note from Joseph Whiteside called into question the venue identities for a couple of Canadian shows, specifically the 15(?) 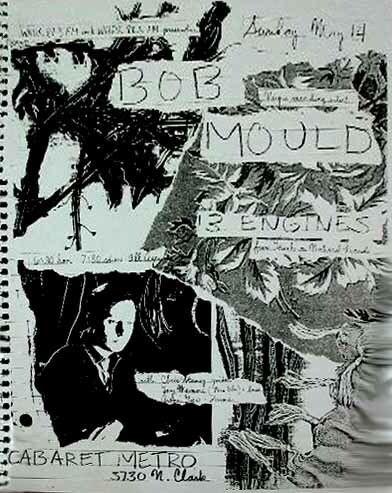 May 1986 Hüsker Vancouver gig, which he found advertised in an old copy of local rag Georgia Straight as booked for the New York Theatre (rather than Luvafair); and the 18 Oct 1990 Bob Mould Ottawa gig, which he recalls clearly having attended at Barrymore's Music Hall (rather than One Step Beyondno idea where I got that from). Added the new info to the dates page and linked to an image of the Barrymore. 23 Aug 2006 Fixed broken link to the Hard Times Cafe (Alexandria VA); found a small picture of it and added the link to the dates page. 20 Aug 2006 Beefed up the entry for the Australian All That Punk 3xCD compilation and added an artwork page for it. Updated the links on the dates page. 18 Aug 2006 Added preliminary entries to the annotated discography for the upcoming Blowoff album and a recent Australian complation, All That Punk, that includes a Hüsker track (DWTKIYAL). Linked the new entries to the summary discography. 14 Aug 2006 Put up setlist for Bob's 16 Jul Philly show (thanks to Travis Vande Berg) and wired the gig stills link on the dates page to this Big Takeover review of the performance. 06 Aug 2006 Okay, just got a note from Robert Dunn, who posted the reference to the Nova Mob King Tut's show in Grant's guestbook (see yesterday's updates). He's managed to find the ticket stub, and reports that the actual date was 13 Sep 1994. I've adjusted the listing on the dates page. 06 Aug 2006 Updated the venue info page for Benny's (Richmond VA) with a bunch of often fascinating reminiscences contributed by owner Benny Waldbauer. 05 Aug 2006 Fixed broken dates page link to The Saloon (Minneapolis). All but one of these dates came from rediscovered correspondence and/or dusty cassette tapes that I never got around to documenting. The King Tut's date is based on a remark made 16 Jun 2006 in the guestbook on Grant's website. Most of the dates are at least a little suspect. The Live Station gig could not have happened on 19 Jun, because Nova Mob played confirmed dates on 20-21 Jun at the Entry in Minneapolis. (The German tour began shortly afterward.) 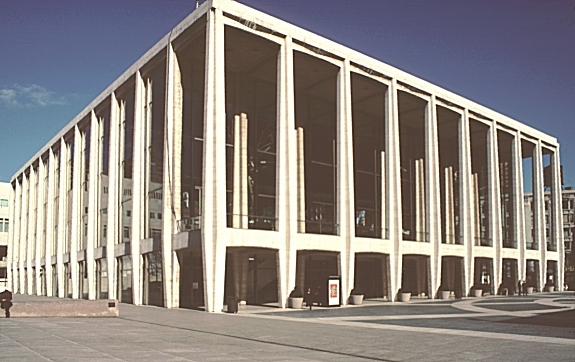 A 27 Dec 1992 Stuttgart show is reasonable, but the existence of a "Maxim Gorki" venue there is uncorroborated (there is, however, a theater in Berlin by that name). The King Tut's gig, assuming the reference is correct, most likely occurred in Jul 1993, but that's an educated guess. The 08 Jun 1994 Stuttgart show date is questionable because it conflicts with the Schrikkelpop performance on the same date in Belgium. In any case, I found and added links to venue photos for Röhre and Live Station. Also created a venue image page for King Tut's using a photo I shot of the place earlier this summer. 03 Aug 2006 Made minor updates to venue notes for the Backstage (Tucson AZ) and the Galaxy Roller Rink (Fullerton CA). 03 Aug 2006 Live set promised at the 16 Sep Blowoff gig at the 9:30, earning it an entry on the dates page. 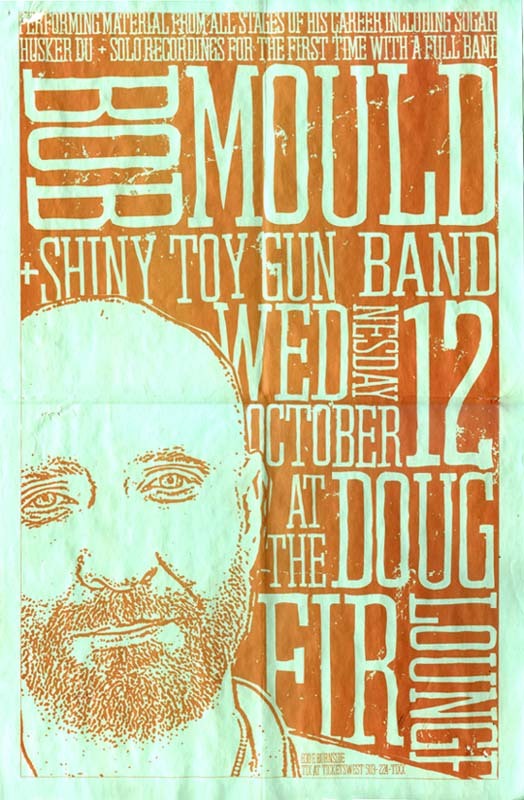 01 Aug 2006 Added Bob Mould's MySpace page to the Hüsker Dü links page. 27 Jul 2006 Added a little information to the venue notes for La Casa De La Raza (Santa Barbara CA) based on recent googling. 26 Jul 2006 Finally got around to located a picture (although not the greatest) of the 7th Street Entry and linked to it from a zillion places on the dates page. 23 Jun 2006, Bryant Lake Bowl, Minneapolis ( TC Pride Festival). Also added setlist for Grant's show at the 331 Club last night. (Thanks to James Lindbloom for the setlist and gig date info.) Also linked to a picture of the Bryant Lake Bowl, added "My Regrets" (new song), "Shuffle Off To Buffalo," and "Silent Night" to the Song Titles page, and added entries for the latter two songs to the Cover Songs page. 18 Aug 2006, Replay Lounge, Lawrence KS ( North vs South Festival). (Thanks respectively to Aaron Sumner, via the Sugar list, and James Lindbloom for the pointers.) Found and linked to images of the 331 Club and Replay Lounge. 21 Jul 2006 Made a minor update to the venue description page for the Calgarian Hotel. 16 Jul 2006 Added Minutemen We Jam Econo (2xDVD) entry to the annotated discography and put up an artwork page for it, featuring video capture images of Greg and Grant, who were interviewed for the film. Added the link to the summary discography. 15 Jul 2006 Added Blowoff (advance CD) entry to the annotated discography and put up an artwork page for it. Added the link to the summary discography. Fixed the song titles page to account for the retitling of "Mark Dirt" as "The Ballad Of Mark Dirt." 14 Jul 2006 Added Bob's 05 Aug 2006 Homo A Gogo Festival appearance at the Capitol Theater (Olympia WA) to the dates page. Also added a link to a page featuring some venue photos. Note that both this and the 06 Aug performance in Portland are Blowoff gigs featuring live sets. 10 Jul 2006 Added Bob's just-announced 06 Aug 2006 Doug Fir (Portland OR) show to the dates page. 08 Jul 2006 Updated venue notes for the Sherwood (Indianapolis) based on info contributed by a former owner. 08 Jul 2006 Put up a gig stills page for the Sugar 11 Nov 1994 Fed Hall, University of Waterloo (Waterloo ON) show. (Thanks to Jason Gropp, who provided the photo and identified the specific campus venue, and to photographer Chris Aldworth.) Also found a page with an image of Federation Hall and updated the links on the dates page.  Vicar Street (Dublin Ireland).  Former Mayfair, now The Garage (Glasgow Scotland).  Sub Glub (Glasgow Scotland). Also fixed broken links to the Sub Club, The Garage and, Barrowland websites. 03 Jun 2006 Updated the Wed-Rock CD entry in the annotated discography and put up an artwork page for it. 02 Jun 2006 Added "Taxman" to the cover songs page and the song titles page. (It was performed by Grey Area at their first gig, in 1989, according to the Minnewiki Grey Area entry). 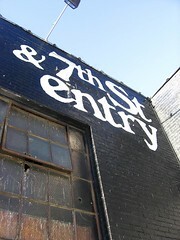 02 Jun 2006 Found and linked to venue image for Southpaw (Brooklyn). 01 Jun 2006 Fixed broken link to Southpaw (Brooklyn) on the dates page. 29 May 2006 Added several more pix to the 2002 Meredith Music Festival venue image page.  Former Electric Banana (Pittsburgh PA).  Former Graffiti (Pittsburgh PA).  Grog Shop (Cleveland Hts OH). 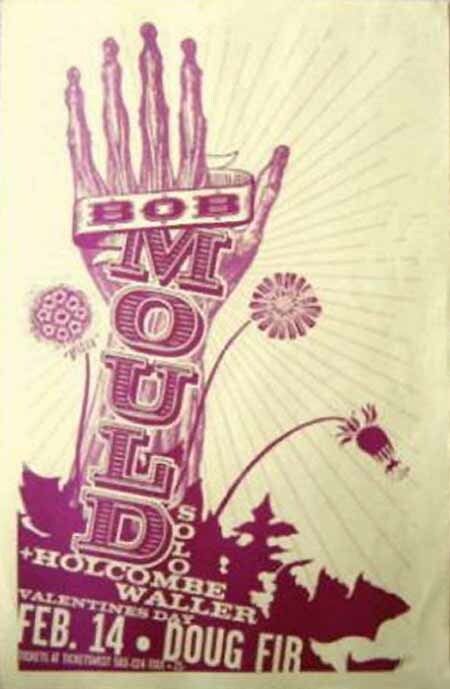 28 May 2006 Made cosmetic changes to the dates page and updated it to indicate that the 16 Jul Philly show (Bob Mould with full band) will be at Penn's Landing. 21 May 2006 Added Bob's 16 Jul 2006 one-off (per his blog) full-band Philly show (venue TBA) to the dates page.  Determined that the Sugar 06 Dec 1992 Köln venue was Stadthalle Mülheim.  Added previously unlisted Sugar 08 Dec 1992 gig at The Loft (Berlin). 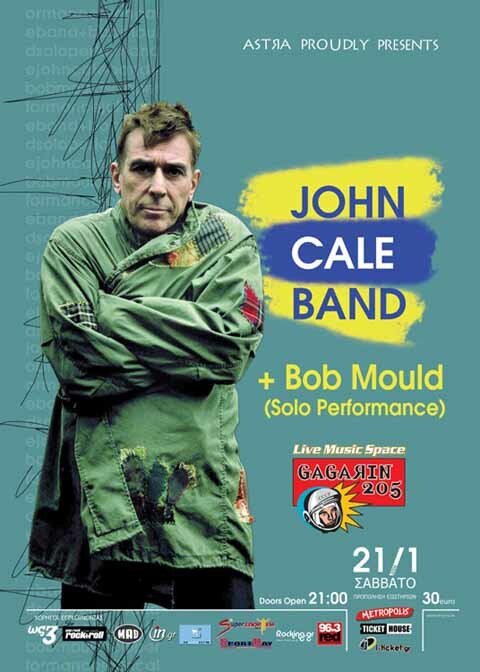  Added Bob's 24 Jun 2006 Liquid Room (Edinburgh) date.  Finally got around to repairing the venue photo links that were moved from Bob's old site to the granarymusic archives. 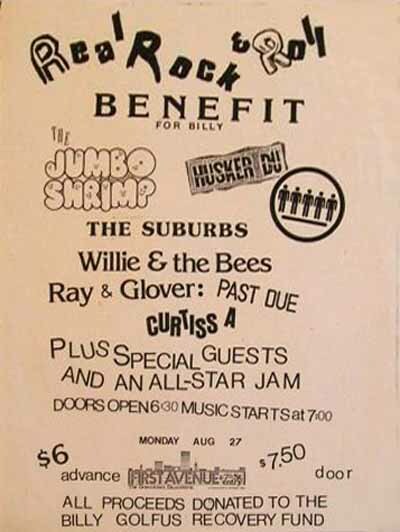 05 May 2006 Discovered the exact date of the 1983 Maverick's (Boston) Hüsker gig while browsing this gigography for the Proletariat, who opened the show on 23 Apr 1983. Updated the dates page with the new info. 02 May 2006 Correspondent Andy Nystrom writes to say that he's been comparing notes with his friend Carla (Caldato) Trujillo about the 02 Nov 1985 LA show. As as a result, he agrees that the gig did in fact take place at Charlie's Obsession (see 23 Apr update below), not at the Hollywood Roosevelt Hotel as previously reported. Cleaned up the affected segment of the dates page. 23 Jun 2006, Academy, Manchester. (Thanks to Patrick Nesbitt.) Found and linked to images of the Birmingham and Manchester venues, as well as an image of the Beat Hotel in Desert Hot Springs CA, where Grant Hart played on 04-05 Feb 2006. 25 Apr 2006 Added new entry to the annotated discography for the Wed-Rock live compilation album scheduled for 02 May 2006 release with one solo acoustic Bob Mould track. Also updated the summary discography. 23 Apr 2006 There's no mention of it yet on Bob's website, but sharp-eyed Sugarlister Mike Melville noticed that Bob is listed as a confirmed act at this summer's O2 Wireless Music Festival In London's Hyde Park on 21 June. A little digging reveals that Bob's also performing when the festival moves to Harewood House in Leeds a few days later, where he'll be sharing the bill with, among others, The Who (Yikes  Live at Leeds!) on 25 June. Added the appropriate updates, along with image links for Hyde Park and Harewood House to the dates page. 23 Apr 2006 Put up a flyer image for the 15 Apr 2006 Blowoff, which again featured a live segment, added the setlist, updated the 2006 poster index page, and activated the appropriate links on the dates page. 22 Apr 2006 Repaired broken Hollywood Roosevelt Hotel venue description link on the dates page and replaced the broken venue image link with this one. 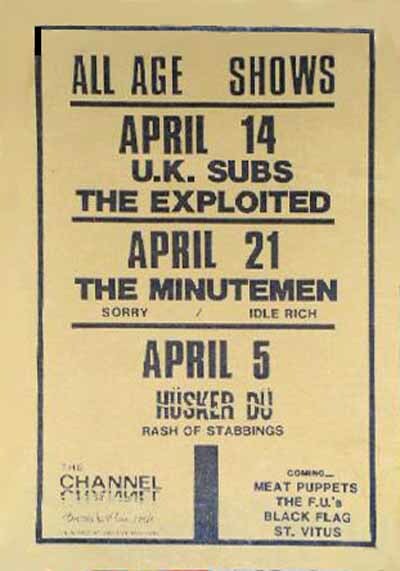 14 Apr 2006 Added gig flyer for the 12 May 1985 Hüsker gig at the 9:30 (DC). Updated the 1985 poster index page and added link to the dates page. 14 Apr 2006 Put up setlist page for Grant's 21 Aug 2004 Jackpot Saloon (North vs. South Festival, Lawrence KS) show and updated the dates page. (Thanks to Chris Mogenson.) Added "John Brown's Body" (covered by Grant in keeping with the festival theme) to the Songs Covered page and the Song Titles page. 11 Apr 2006 Replaced obsolete Hollywood Palladium venue description link on the dates page with a link to the Palladium official website. 06 Apr 2006 Added previously unlisted Sugar gig (17 Dec 1992, Great Hall, Cardiff University Union) to the dates page and linked to a small photo of the Union building. Updated the 2006 poster index pages and added links to the dates page. 01 Apr 2006 Noticed that Grant was among the artists slated to play the River of Hope Fundraiser (for Hurricane Katrina victims) at Grumpy's in Minneapolis on 11 Mar; added the date to the dates page along with links to the Grumpy's website and a venue image. 31 Mar 2006 Added entry for the UK Hyacinths And Thistles release and updated the summary discography. 22 Mar 2006 Put up a flyer image for last Saturday's Blowoff, which featured an expanded live segment, and a second flyer image for Bob's 14 May 1989 Cabaret Metro gig. Updated the 1989 and 2006 poster index pages, added a setlist page for the Blowoff gig, added the new Blowoff song, "Man Keeps Winning," to the Hüsker Dü song titles page, and activated the appropriate links on the dates page. 18 Mar 2006 Added a couple of articles from Puncture #9 (Spring 1985) and updated the magazine articles page. Also linked the cover photo, which features a live shot of Bob at the 12 Dec 1984 Keystone (Palo Alto) show, to the appropriate entry on the dates page. 14 Mar 2006 Updated venue notes for Benny's (Richmond VA) based on info contributed by Leo Simonetta. 13 Mar 2006 Added setlist page for Bob's 01 Aug 2005 Triple Door (Seattle) KEXP show and linked to it from the dates page. 11 Mar 2006 Pointed the gig stills link on the dates page for Bob's 11 Feb 2006 Slim's (SF) show to Peter Whitfield's photo spread. 11 Mar 2006 Fixed/deleted some broken links on the Hüsker Dü links page. Note that Grant's website has been off the air for several days now, but I've left the link in place for the time being. We'll see what happens with that. Gary Goldfinch's site hasn't been responding this morning either, but I've kept this link as well in case it's just a temporary outage. 04 Mar 2006 Updated venue notes for Madison Square Garden (Phoenix) based on info from an anonymous contributor, and added a dates page link to a photo of the place in its final days from one of the news articles about its demise. 04 Mar 2006 Added Nitrominds' cover of "Something I Learned Today to the Hüsker Dü covers cross-reference and put up an artwork page for the CD. 01 Mar 2006 Yeesh, what is going on here??? It appears that tomorrow night's Winnipeg Mould gig has been moved again. Now it's supposed to happen at the West End Cultural Centre. Fixed the dates page and linked to a page with a venue photo. 28 Feb 2006 Put up setlist page for the live performance segment of the 25 Feb 2006 Blowoff and updated the dates page. 27 Feb 2006 Noticed that the dates page link to the venue photo of the Élysée Montmartre (Paris) was broken and replaced it with this one. Also scanned in an image of the I-Beam (San Francisco)  the marquee anyhow  and linked to it. 27 Feb 2006 Pointed the dates page still photos link for Bob's 12 Feb Harlow's (Sacramento) gig to Kevin Seconds' Feb 2006 blog archive. 26 Feb 2006 Added yet another publicity photo, a Denon Canada shot apparently for Copper Blue. Updated the Publicity Photo index page. 25 Feb 2006 Put up flyer image for tonight's Blowoff show, which will again include a live performance segment, and updated the 2006 poster index page. 25 Feb 2006 Fixed broken venue link for Trees (Dallas), found a small picture of it and fixed the dates page. 18 Feb 2006 Another Bob date scheduled for next month's southern swing: 26 Mar 2006 at The Jewish Mother, Virginia Beach. Updated the dates page and linked to a venue photo. 15 Feb 2006 Added "Ships, Strings And Carpenter's Things" (new LoudBomb song played during Bob's KEXP on-air appearance tonight) to the Hüsker Dü song titles page. 12 Feb 2006 Added description of the Hüsker Dü Early Demos boot 12" LP to the bootleg audio section of the annotated discography and put up an artwork page for it. Updated the summary discography with the new info. 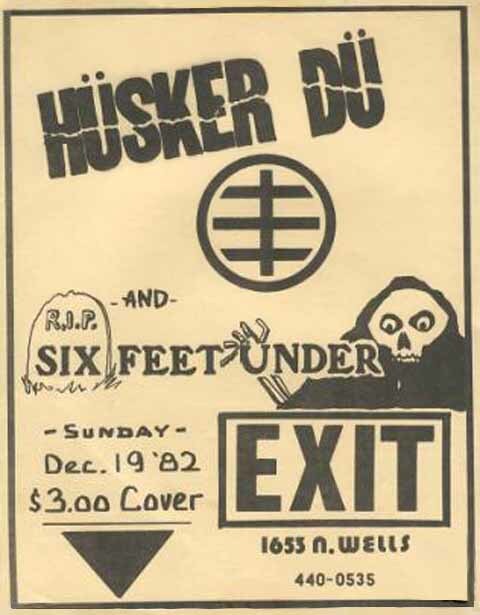 11 Feb 2006 Added gig flyer for the 19 Dec 1982 Hüsker gig at the Exit (Chicago). Also found a nice shot of the Exit storefront. Updated the 1982 poster index page and added links to the dates page. 08 Feb 2006 Removed the tentative "counterfeit" designation from the description of the generic blue and red Hüsker tee based on info provided by Brendon Macaraeg and updated the Hüskerwear page. Found and linked to images of Cat's Cradle, The Grey Eagle, Eddie's Attic and Southgate House. 07 Feb 2006 Added a bit of info to the International (Manchester UK) venue notes page. 07 Feb 2006 Added Train's cover of "If I Can't Change Your Mind" to the covers and tributes section of the Annotated Discography and the Hüsker Dü cover song cross-reference page and put up an artwork page for it. 05 Feb 2006 Made minor modification to the Peppermint Lounge venue notes page, replacing a dead link with this one (which in all likelihood will also expire long before I notice!). Updated the 1992, 1993, 2005 and 2006 poster index pages and added links to the dates page. 01 Feb 2006 There's conflicting information on Grant's website about the date of his rescheduled Mad Planet (Milwaukee) show, but 22 Apr appears more likely to be the correct one; changed the dates page accordingly. 30 Jan 2006 Put up setlist page for the live performance segment of the 14 Jan 2006 Blowoff and updated the dates page. 29 Jan 2006 Added gig stills page for the 23 Mar 1987 Hüsker Dü show at Lisner Auditorium (Washington DC). (Thanks to Jim H/Vinyl Mine.) Also repaired broken link to Lisner venue on the dates page and linked to a venue photo. 22 Mar, Mad Planet, Milwaukee (postponed from Dec 2005). 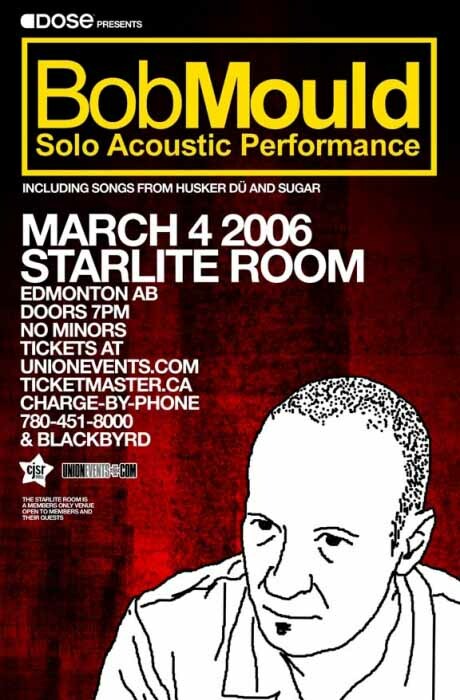 28 Jan 2006 Added gig posters for Bob's March shows in Winnipeg, Calgary and Edmonton; updated the 2006 poster index page and added links to the dates page. 25 Jan 2006 Put up a setlist page for the 18 Nov 1995 Belgrade Nova Mob show (again courtesy of Scott Turner) and updated the dates page. 25 Jan 2006 Well, that didn't take long. 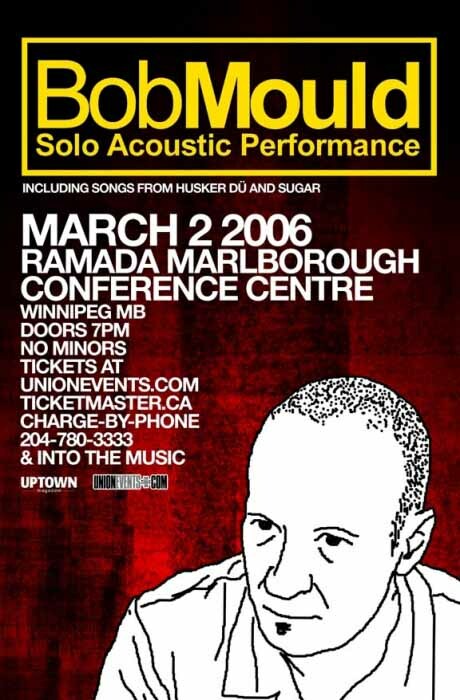 Bob's 02 March Winnipeg gig has already been moved from the Pyramid to the Ramada Marlborough Conference Centre. Got a photo and updated the dates page. Found and linked to images of The Pyramid and MacEwan (anyone got a photo of the Starlite? ), and updated the dates page. 23 Jan 2006 Added a bit more to the description of the 1993 freebie cassette Indiecator based on info furnished by Simon Way. 23 Jan 2006 Lots of input today for some reason: Scott Turner sends word of a previously unlisted Grant Hart date, 18 Nov 1995 at KST (Klub Studenata Tehnika) in Belgrade, Yugoslavia. Added it to the dates page. Also found, grabbed, enhanced, and linked to a small photo of the place. 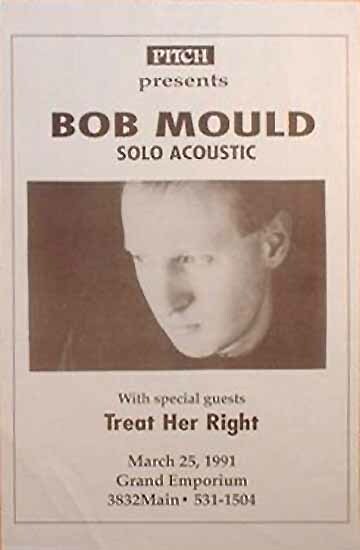 23 Jan 2006 Learned of a Bob Mould date not previously listed (08 Sep 1991, Café 3B, Trondheim, Norway) and added it to the dates page. (Thanks to Ole B. Krogstad and his friend Haavard Oppoeyen for the detective work.) Put up a venue notes page for the 3B, located a photo, and provided links to them. 23 Jan 2006 Updated the Independent Top 20 entry in the Annotated Discography based on info supplied by Ole Bernt Krogstad. 23 Jan 2006 Updated Crystal Pistol (Tulsa OK) venue notes based on info provided by David Caylor. 23 Jan 2006 Created entry in the Annotated Discography for the First Avenue VA compilation CD, The Bootlegs Vol. 1, put up an artwork page for it and updated the Summary Discography and the Spin Radio Concert Bootleg Comparison page. Also added a bit of new info to the entry for the 1993 CD Grunge/The Alternative Compilation and added an artwork page for that. 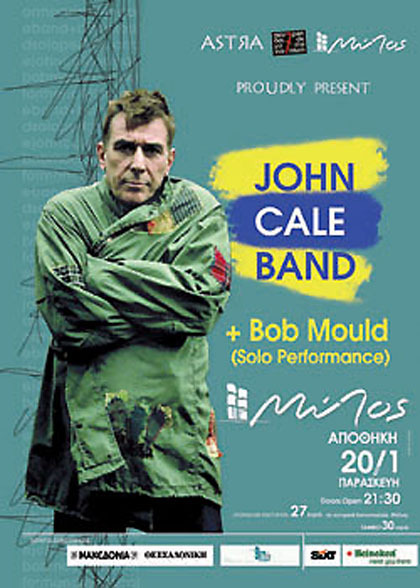 22 Jan 2006 Added gig flyers for Bob's two shows in Greece opening for John Cale: Mylos (Thessaloniki) and Gagarin 205 (Athens); updated the 2006 poster index page and added links to the dates page. 21 Jan 2006 Added a couple of newly-acquired publicity shots: another apparent New Day Rising photo and a Creation Sugar photo possibly for Beaster. Updated the Publicity Photo index page. 21 Jan 2006 Uh oh: More mystery regarding the Ritmo Tribale "Standing In The Rain" cover. After tracking down a copy of the 12" LP, it turns out that the particular version acquired (the one distributed in Germany) doesn't include tracks tracks 13-21, one of which is supposed to be the Hüsker song. Updated the Ritmo Tribale entry in the covers & tributes section of the long-form discography. 15 Jan 2006 Added reviews of the "Makes No Sense At All" single and the 04 Sep 1985 Marquee (London) show from the 14 Sep 1985 issue of The Hit to the magazine articles page. 14 Jan 2006 Added tonight's Blowoff show to the dates page after noticing on Boblog that Bob and Rich will play a live set. Also put up a flyer image for the show and created a 2006 poster index page. 14 Jan 2006 Put up two newly-found poster images, a Nov 1980 7th St Entry calendar and a flyer for the 27 Aug 1984 1st Ave gig. The Entry calendar yielded four previously unknown gig dates  18, 19, 22 and 24 Nov 1980. Updated the dates page with the new info and links, and updated the 1980 and 1984 poster index pages. 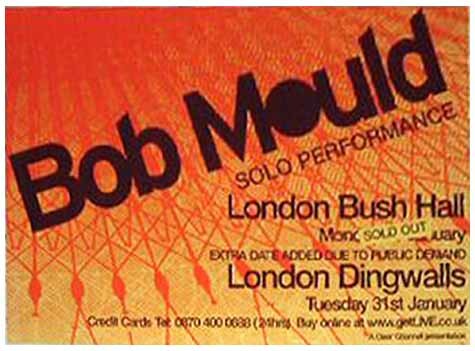 11 Jan 2006 Added Bob's 31 Jan 2006 Lock 17 (London) gig to the dates page.